James Fleming was born on March 12, 1943, in Sedalia, Missouri. 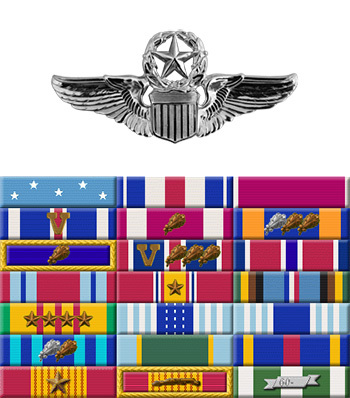 He was commissioned through the Air Force ROTC program on May 9, 1966, and completed Undergraduate Helicopter Pilot Training in May 1967. Lt Fleming's first assignment was with the 862nd Combat Support Group at Minot AFB, North Dakota, where he served from June 1967 until July 1968. Fleming began flying combat missions in Southeast Asia with the 20th Special Operations Squadron out of Nha Trang AB in the Republic of Vietnam in July 1968, and was awarded the Medal of Honor for a rescue mission in November of that year. In May 1969, Fleming began fixed-wing aircraft training in the C-141 Starlifter, and flew with the 8th Military Airlift Squadron at McChord AFB, Washington, from June 1970 to August 1971. 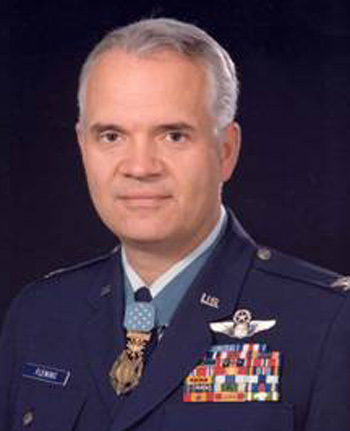 He next served as an instructor at the U.S. Air Force Academy in Colorado. Col Fleming's final assignment was at the ROTC detachment at Texas Christian University, where he retired from the Air Force on July 1, 1996.